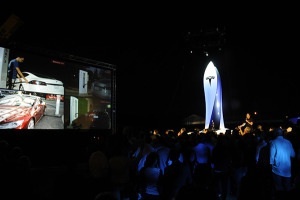 Tesla Motors (NASDAQ: TSLA) unveiled its highly anticipated Supercharger network. Constructed in secret, Tesla revealed the locations of the first six Supercharger stations, which will allow the Model S to travel long distances with ultra fast charging throughout California, parts of Nevada and Arizona. The technology at the heart of the Supercharger was developed internally and leverages the economies of scale of existing charging technology already used by the Model S, enabling Tesla to create the Supercharger device at minimal cost. The electricity used by the Supercharger comes from a solar carport system provided by SolarCity, which results in almost zero marginal energy cost after installation. Combining these two factors, Tesla is able to provide Model S owners1 free long distance travel indefinitely.